Trainer Darren Weir is no stranger to winning Cups but he is yet to land Caulfield’s premier prize. In fact, Australia’s two leading trainers Chris Waller and Darren Weir will be chasing their first Caulfield Cup win this afternoon. It is hard to believe that between them, they have only won just one of the big two staying prizes on the Australian Turf. To date, Weir has been selective in sending horses to the Caulfield Cup – just three – two of those finishing fifth, Real Love (2016) and Humidor (2017)- his closest finishes. That could be all about to change in 2018, however, with King’s Will Dream the best chance in the race judged on Timeform ratings. Kings Will Dream has been in impressive form exhibiting an upward spiralling Timeform ratings profile which, right now, makes him the horse to beat on Timeform weight adjusted ratings. King’s Will Dream has been favourite for the Caulfield Cup since securing his place in the field all the way back in March by winning the Mornington Cup over the 2400m of the Cup trip. 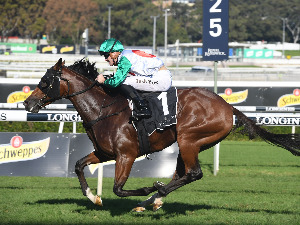 At that point in time King’s Will Dream was Timeform rated 115p and everything has gone to plan since, putting that p to good use by improving to head into the Caulfield Cup rated 122 – a rating that sees him come out on top when adjusted for weight carried. Slashing runs over 1400m to start the campaign gave him a great base for placings in the Makybe Diva and Turnbull – two races that were run very differently. The Makybe was strongly run and while the mile is short of his best trip his stamina came to the fore as he stayed on into second. 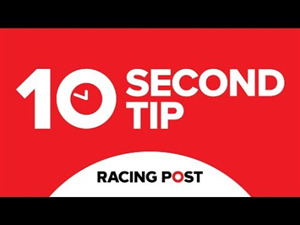 The Turnbull – long one of the best lead-ups to the Caulfield Cup – was run at a crawl early and developed into a battle of speed late on. He closed powerfully there (though not as powerfully as the great Winx!) and set himself right up to peak on Caulfield Cup Day. It is worth noting that that King’s Will Dream had a significant ratings spike last preparation when he got out in trip to 2400m so it appears the long-term plan looks to be coming together nicely. The Chris Waller-trained Youngstar is the current favourite and earned that spot by getting past King’s Will Dream in the Turnbull. She won that battle of late speed, but only narrowly, and it is likely that King’s Will Dream will prove a bigger stumbling block at Caulfield. With a Timeform rating of 118 she does profile very similarly to a series of four-year-old mares that have won or run well in the Caulfield Cup. Most recently Jameka who was also rated 118 and also came to Caulfield favourite having run second in the Turnbull. Waller has had 16 runners in the Caulfield Cup – the closest he has come to winning was also fifth place with Royal Descent in 2013. Youngstar rates as a superior mare going into the Caulfield Cup to 2015 fourth Gust Of Wind (114) and 2014 second Rising Romance (116) and identically to 2014 third Lucia Valentina, 2013 third Dear Demi and 2011 winner Southern Speed. She fits a strong profile and so too does the Aidan O’Brien-trained Cliffs Of Moher who backs up from an eye-catching run in the Caulfield Stakes last week. Very similar to the run produced by his stablemate Johannes Vermeer who backed up to run third in the Caulfield Cup last year. 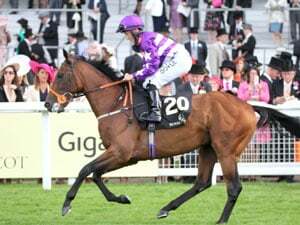 The Cliffs Of Moher has more weight to carry around Caulfield than Johannes Vermeer but his form, and profile, in Ireland and the UK, is superior and there is still a sense that we are yet to see the best of the son of Galileo. The Cliffs Of Moher is far from the only traveller in the race. 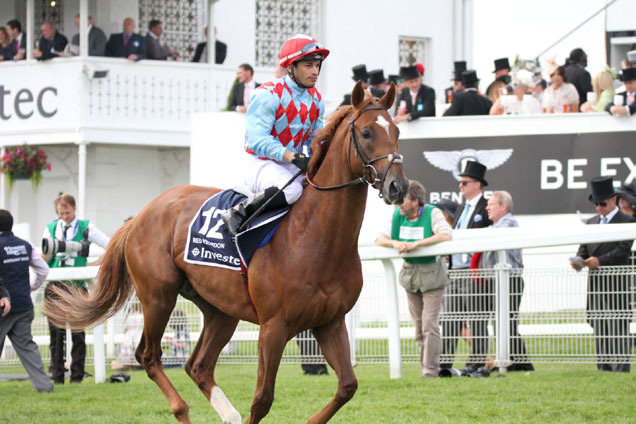 Red Verdon shapes as the pick of the others having beaten home The Cliffs Of Moher in the Hardwicke Stakes back at the Royal Meeting in June. That was behind Crystal Ocean, who stepped up and ran second in a high-rating King George on the back of that success. It’s a strong-looking piece of form and Red Verdon has performed consistently at that level with form around a string of good horses like Mirage Dancer, Defoe, Magic Circle and Stradivarius this season all making for solid reading. 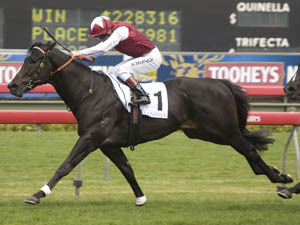 Unlike the Melbourne Cup, interestingly northern hemisphere trained horses having their first Australian campaign run in the Caulfield Cup have quite a good record – four wins and four places from 23 attempts – a point not lost on Ed Dunlop who almost broke the hoodoo in the Melbourne Cup with Red Cadeaux. Night’s Watch has drawn out but he will no doubt be ridden quietly and look to have the last crack at them from down in the weights. He has been on the upward spiral all spring with his closing effort in the Caulfield Stakes another step forward on his way to this Grand Final. From down in the weights his rating there stacks up and he certainly gives Darren Weir a strong hand in the race. 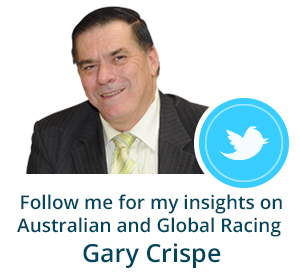 Race Synopsis: Godolphin's Best Solution recorded his third successive Group 1 win in taking out this prestige event at his first Australian start after victories in Germany in August and September. He went forward from his difficult barrier (15) and after being trapped deep, Pat Cosgrave eased him to settle in fourth place. After then tracking a very steady pace, he made a quick move coming to the 600m, grabbed a break on turning for home and then fought back very gamely to score in a photo in an impressive performance under his top weight (57.5kg). Homesman had a good trip in third place on the rails from his good barrier (4). He moved up at the home turn, challenged strongly at the 200m and then battled gamely for a close second, just finding the winner (who conceded him 4.5kg) too good. The Cliffsofmoher settled well in ninth place, improved nicely (between runners) nearing the home turn, challenged on passing the 200m and then battled gamely for a very good third. Duretto raced in eighth place, improved (between runners) to be fourth at the home turn and then fought well to hold that position (beaten 2.9 lengths) in a really good effort at his first Australian start. The Taj Mahal settled midfield (wide with cover) from his difficult barrier (17) before James McDonald made a sudden move at the 800m due to the pedestrian pace to challenge approaching the home turn. He then battled really well for (3.7 lengths) fifth. Favourite Kings Will Dream raced in 11th place, on the rails, got a run (between runners) at the home turn, got into clear running shortly afterwards and then ran on quite well for (3.9 lengths) sixth. Youngstar settled back in 15th place, went deep on straightening and made ground, in the sprint home to finish (4.7 lengths) seventh in a very sound performance under the circumstances.